Ruby is a well-preserved ghost town in Arizona. But don’t let its humble appearance fool you. The town was once a thriving mining town with thousands of residents and numerous businesses. 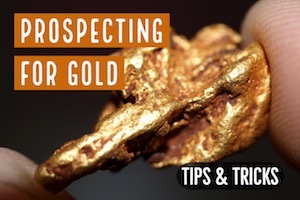 Gold and silver veins were first discovered near the town site on the slopes of Montana Peak in the 1700s by Spanish explorers but just a little mining was done because the mining technology at the time did not make the ore very lucrative. 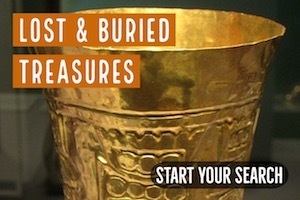 The Spaniards engaged in placer mining for a couple of years before moving on to other areas. After the Spaniards left, the region remained undisturbed for close to a century before mining engineers Henry Ehrenberg and Charles Poston in 1854 explored the Montana Gulch which was the mining site for the Spaniards. The two engineers discovered rich gold and silver veins the gulch and caused quite an excitement among miners with the news but mining did not take place in the area because of the hostile Apaches who lived here. Ruby was started in 1877 as a small mining camp known as the Montana Camp. In the 1870s quite a number of settlers both ranchers and miners settled in the area making it relatively peaceful as most of the Apaches were driven away. 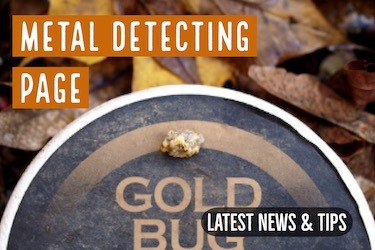 Several gold discoveries were also made with a number of small-scale mining commencing in several places in the area. The discovery of other minerals such as copper and zinc brought in more miners leading to the establishment of the Montana Camp. 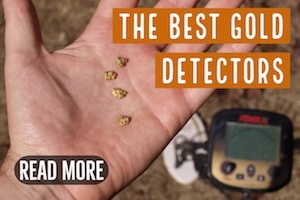 A large high-grade gold and silver mine was discovered by J.W Bogan near the Montana Camp. This led to the establishment of the Montana Mine. The establishment of the mine attracted more people to the area creating a small town near the mine. The first store in the area was set up by George Cheney who later sold it to Julius Andrews in 1897. Julius named the town Ruby in 1912 after his wife Lillie B Ruby when he opened the first post office in the area. 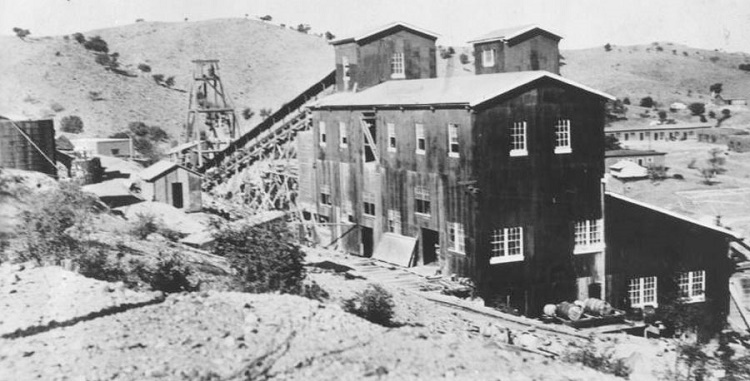 The Montana Mine was the major source of livelihood for Ruby for many years mostly concentrating on the production of Gold and silver. The Montana Mine continued to be productive for many years but it took years before the mine could achieve its full potential. 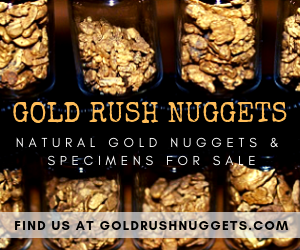 In 1915 it was leased by the Goldfield Consolidated Mining Company which established the first large-scale mining. In the following years, the Montana Mine became the leading lead producer in Arizona. The firm made significant investments in the mine and the town of Ruby for the next ten years that it operated the mine. These investments paid off by increased productivity at the mine which made Ruby a thriving mining town. The Eagle-Picher Mining Company took over the management of the Montana Mine in 1926. The company was a lead producing firm and concentrated on lead production at the mine. What followed was some of the most productive years of the mine. The Montana mine continued to be leading lead and zinc producer until 1937 when it began its decline. The mine was also a major producer of both gold and silver. In fact, it was the third largest silver producer in Arizona in 1936. The mine was eventually closed in 1940 marking the start of an end to the once prosperous town of Ruby. The Eagle-Picher Mining Company is estimated to have mined about 800,000 tons of ore from the mine between 1927 and 1940. The processing of the ore produced about 31,000 tons of lead and two byproducts: 1.5 tons of gold and 120 tons of silver. All these made the mine one of the leading producers of lead, silver, and gold in Arizona. The Eagle Picher was the most profitable miner than the rest of the companies that once operated the mine. Once the rich ore ran out the Eagle-Picher Mining company closed down the Montana Mine in mid-1940. The company then removed some of its important machinery from the mine before selling it to Hugo Miller in 1944. Millar continued mining at the mine although at a much-reduced scale until 1961 when he sold it. This marked the end of the mining operation at the mine. 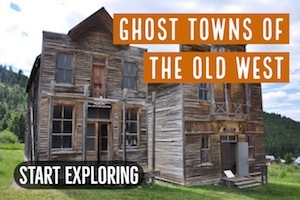 Today Ruby is among the best-preserved ghost towns in the United States. With such a great mining history, the town is definitely worth visiting. Today visitors to Ruby can see about 25 of the original buildings, the old mine, the mining machinery, the school house, the playground and the old jailhouse among others. Ruby was listed for the first time in the National Register of Historic Places. In 1993 restoration efforts were started by the Arizona State Parks. Most of the restoration efforts were done on both building stabilization and perimeter fencing.